When we started this business back in 2008 very few companies had heard of Green IT, let alone were doing anything about it. Gartner in 2007 had released data estimating that the IT industry accounted for around 2% of global emissions, equivalent to the aviation industry at the time. Whilst large industry players like IBM, Microsoft and Dell took considerable note of this, Green IT was still in its infancy and Gartner’s report flew under the radar somewhat. In South Africa in early 2008 load shedding began which resulted in rolling blackouts across the country. All of a sudden energy and energy consumption became a big thing. Powering IT infrastructure for long periods (after hours) became a massive sign of inefficiency and waste. Corporate South Africa started to take note and Green IT came onto the agenda, albeit in small measures. PC power management solutions took root and datacentres started to “green” themselves through more efficient design, more efficient infrastructure and innovative cooling techniques. Green IT was squarely on the agenda from 2010 to around 2014, it then just seemed to peter out. We just seemed to take our eye off the ball as load shedding stopped and the economy took precedence over the environment. 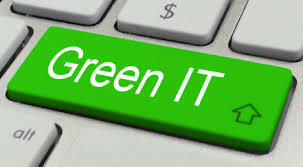 I would argue that now more than ever, every company needs a Green IT agenda but the reality is that the agenda needs to be redefined into a broader sustainable IT agenda, focusing above all on IT efficiencies across the organisation. These efficiencies should be driven by people, process, energy or anything else that can yield improved efficiencies. For me, ICT is always been as a change enabler. The most successful IT departments are rooted in the business and enable profitable growth through innovation, disruption and systemic change. Sustainable computing in its broadest sense is no different, transforming a business, using ICT to drive the triple bottom line of people, profit and planet. This needs to be number one on the CIO’s agenda. It is clear to me that for the average CIO this still represents a wonderful opportunity to transform the IT department into a value creating and cost reducing department, increasing both shareholder value and competitive advantage in the process. The digital economy and the planet demand that we do things differently, if this is not number one on your agenda, then it should be.